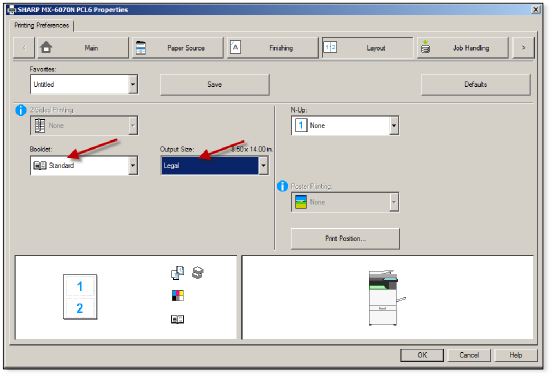 Some of our customers have requested to print booklets(sometimes called “saddle stitch” or “fold and staple”) on legal paper in the past and we’ve had to tell them it wasn’t possible. 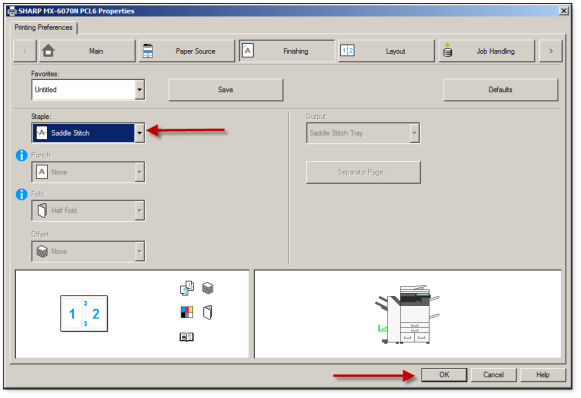 It seems it can now be done on the new Sharp color series printer/scanner/copiers. Follow along with the instructions and pictures below to complete the task. 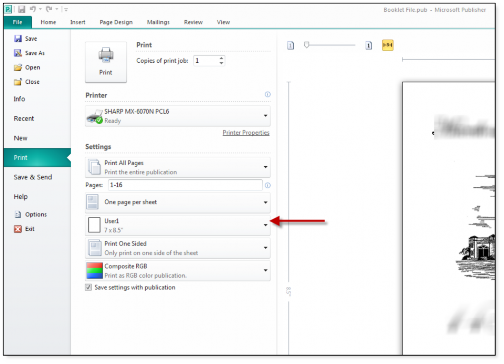 Use the following steps to print a legal booklet from Microsoft Publisher. 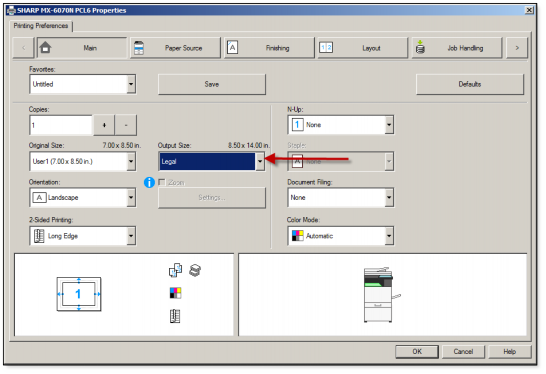 Note: The pages in the original Publisher file must be set with a page size of 7 x 8.5 inches. Under the “Pages” drop-down list, select the “One page per sheet” option. 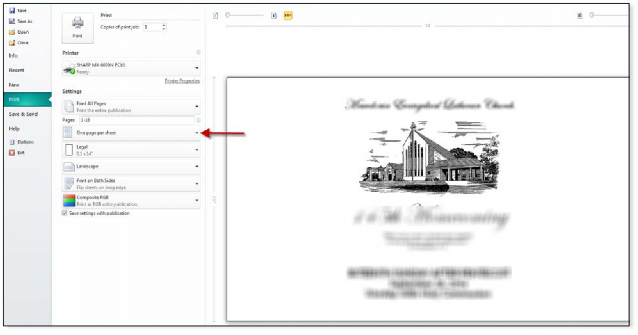 On the “Main” tab under “Original Size,” select an unassigned “User,” and enter a width of 7” and a length of 8.50”. 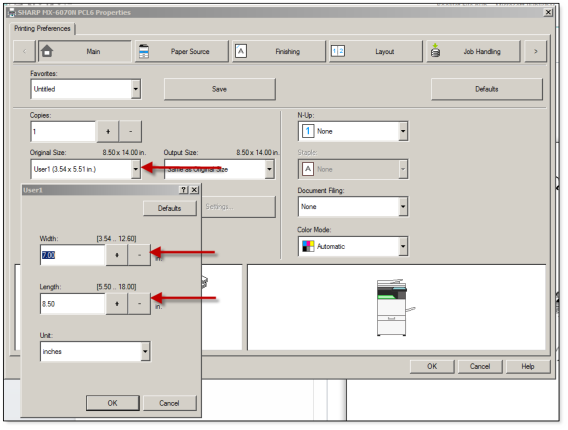 In the application print menu, be sure that the paper source is set for 7” x 8.5”. If you’re shopping for a copier in Houston, or surrounding areas like Katy, Sugarland, Spring, or The Woodlands, Skelton Business Equipment has you covered. Request a free quote from us, and if you’re quick enough to say “yes,” we can likely deliver it the same day. You’ll never see a bill for delivery, installation, or training from Skelton! We look forward to working with you!